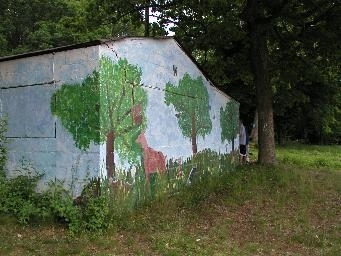 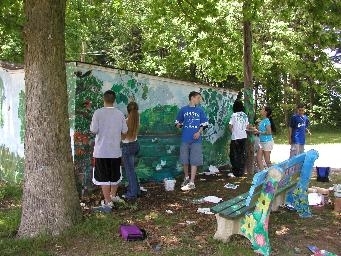 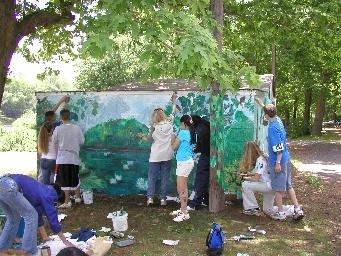 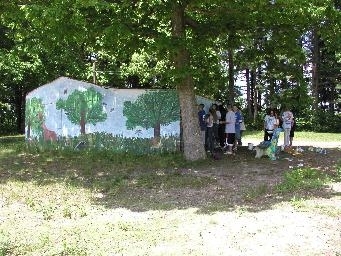 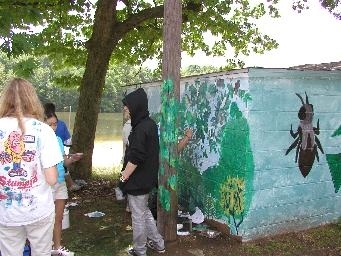 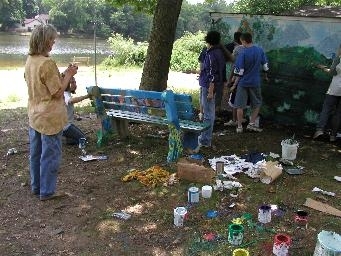 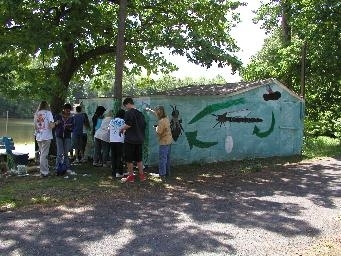 The gifted and talented math and science class from the Barkalow School have been busy painting nature murals on the walls of the old snack bar building at The Pond (Lake Topanemus). 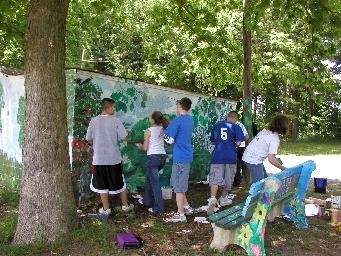 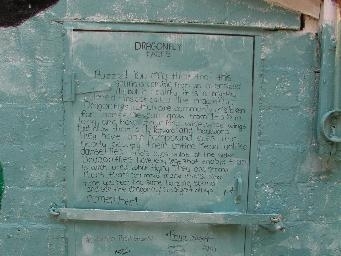 These photos were taken on June 9, 2003, as the students were finishing up another wall. 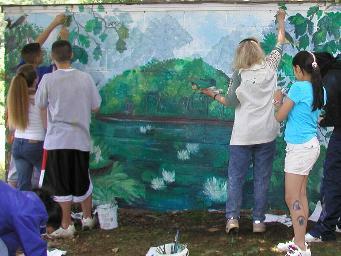 Click here to read a related News Transcript story.